Over the weekend, FashionAFRICANA presented its annual global celebration of Design, Dance and Music at the Carnegie Museums of Pittsburgh. This special evening of fashion, beauty and culture included a runway fashion presentation featuring FashionAFRICANA models and custom designs by Diana Misetic, Gina Mazzotta Millinery, live performances by The Duke Quintet, Anita Levels and Kizomba Feeling Pittsburgh. The amazing makeup was done by Linda Webster and Eric Hargrove! We love FashionAFRICANA and support this amazing organization! 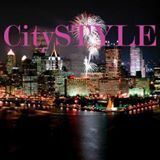 Previous Previous post: CitySTYLE’s Stiletto Fit Class! Next Next post: CitySTYLE’s Favorite Spring Looks!